4 Reasons Why I Rebranded My New Blog from Unshakeable Joy had 16 re-pins just from the pin on our The Ultimate Pinterest Board last week! Add some tasty Baked Spaghetti and Meatballs (from My Mommy World) to your menu this week. 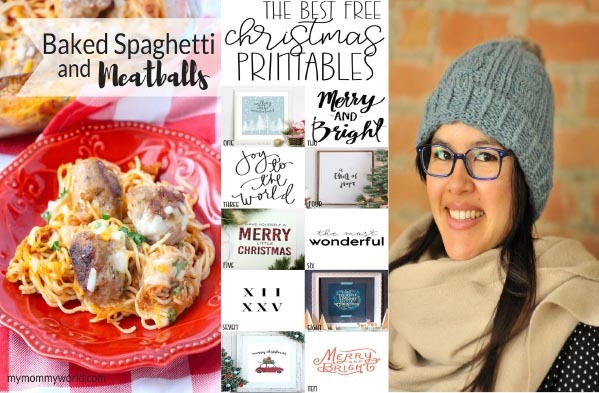 I'm ready to get in the Christmas spirit and The Best Free Christmas Printables (from Michelle Amanda Wilson) are just the thing. As the weather gets cooler, this cute Alpaca Cabled Crochet Beanie (from Kiku Corner) would be perfect. This kind of party helps a lot of bloggers. Its my first time to know it. Hoping I could join too. Thank you for sharing it.